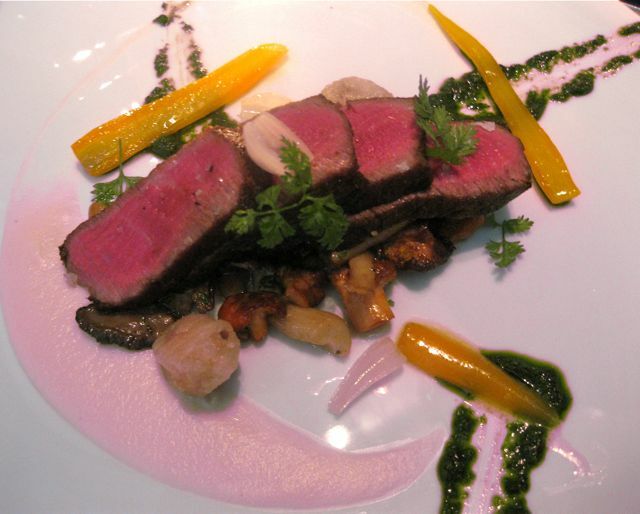 I was really looking forward to having dinner at Hawksworth after having 2 amazing lunches there. Check out my previous posts here and here. After one of the lunches, I told them about my next reservation which was a special occasion and had requested a quiet corner. Sure they had said and even told me the table number. Cool. When we got there, I heard them say the table was not ready and they switched tables - not an issue. They walked us through the restaurant only to find the other table they wanted to sit us at was occupied as well. We had to walk back through the restaurant to reception while they figured it out. I really wanted the night to go off well but despite booking the table more than 1 1/2 months in advance, dinner was off to a bumpy start. After looking at the menu, we decided on the summer tasting menu with the wine pairing. 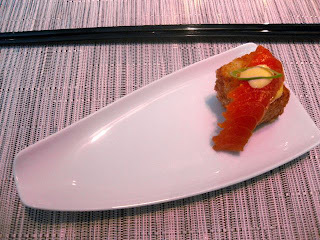 For the chef amuse bouche, we had deep fried sushi rice topped with salmon with a drizzle of wasabi mayo(I think). 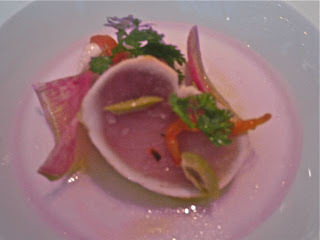 Followed by the seared tuna with tomato broth. The tomato broth is pale and almost colourless but has a strong tomato flavour which goes well with the tuna. 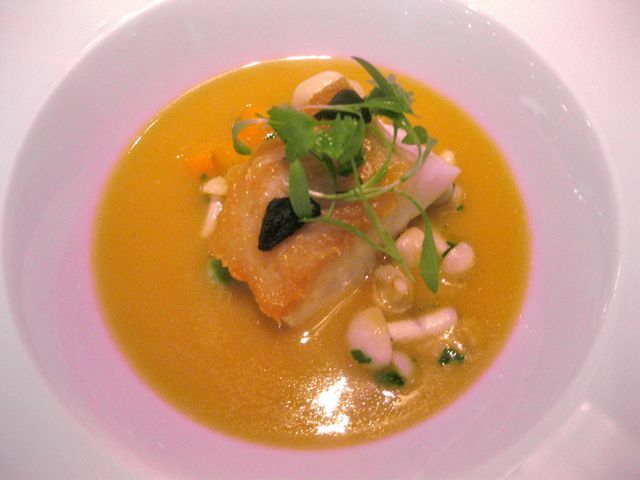 The seared sable fish with beech mushrooms, carrots and tom yum broth came next. The fish was perfectly cooked- crisp on the first bite and tender after, so tasty when paired with the flavourful tom yum broth. I enjoyed the tom yum broth so much that I wanted to lick the bowl clean. 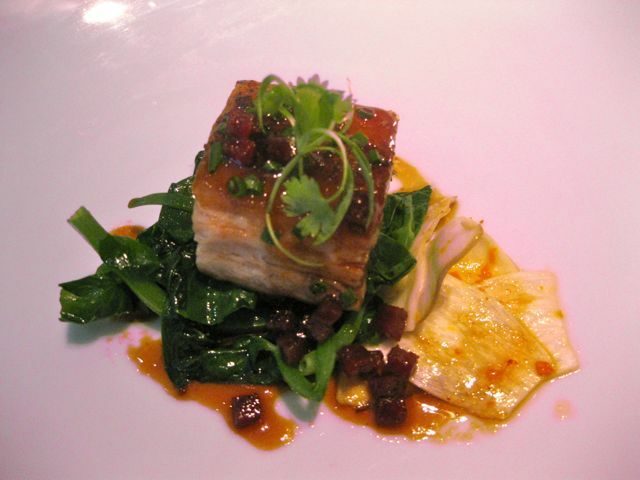 Next up, the pork belly. I have a soft spot for pork belly and so does D. This was the dish that tipped me to try the tasting menu. Melt in your mouth tender ....yummy! I requested a change in the lamb dish which they kindly accommodated and served the beef tenderloin done medium rare from the a la carte menu. The beef was good with the chimmichurri sauce and the wild mushooms. Some people might not eat the bone marrow but it was an interesting addition to the dish. It was crispy on the outside and mushy on the inside with quite a strong flavour. 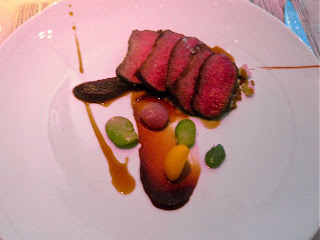 D had the lamb loin and said that the date sauce went very well with his lamb. 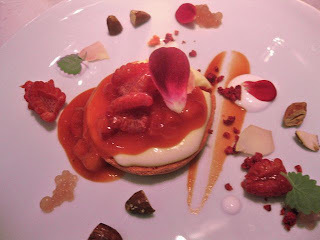 Lastly, dessert - pretty presentation - almost too pretty to eat. 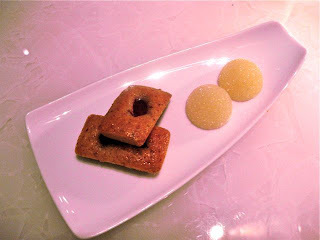 The raspberries are super fresh and the almonds were nice and brittle. Nice crunch from the meringue cookie with the soft cream and raspberries - a light summery dessert to end the tasting menu. 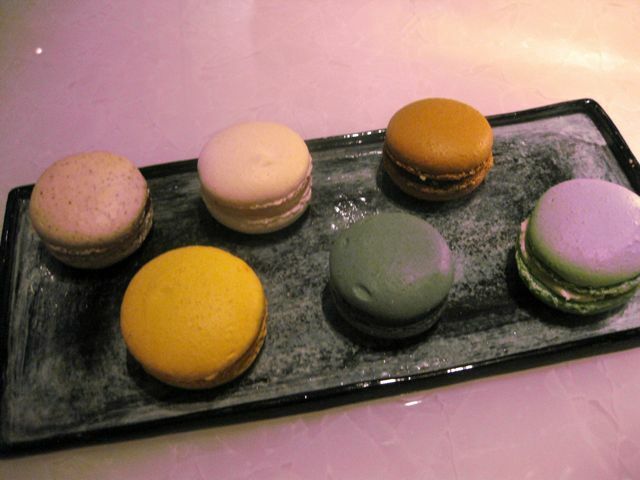 We started off with the Pistachio macaron. It had that crispy shell yet soft and chewy inside, good flavoured butter cream - the perfect macaron for me. However, it went downhill from there and the rest didn't really live up to that. Despite the hiccups in seating us at the start and the very lively atmosphere (ie hard to hear your dining partner), the food is undoubtedly good, my favourite was the sable fish.